Embark on this life changing yogic journey with us. Next 200hr Weekend Teacher Training commences 14 Jul 2018 ends 30 Sep 2018. Whether you are just keen to deepen your personal yoga practice or to equip yourself adequately to take on the role of a yoga instructor, this course is most suitable for you. With a strong and extremely experienced & specialised faculty to share and impart their knowledge, the robust programme delves in breadth and depth of the core aspects of yoga practice. With so many courses in the market, you are spoilt for choice. 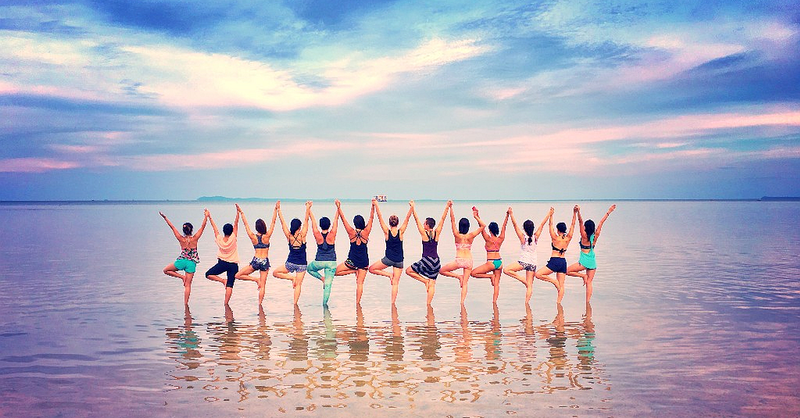 So what exactly is the difference between Yoga Alliance US vs Yoga Alliance UK? What makes our course unique in comparison to those in the current market? Join us for a Yoga & Tea Session to have all your questions on teacher training answered by our lead trainer, Wendy Chan. Get to know more about the course content, training schedule, what to expect upon completion of the training and how to kick start your yoga teaching career. To read some reviews on our teacher training course, visit the Facebook page. Join us to find out more! Limited slots! RSVP here now. For full programme, please email recharge@yogaseeds.com.sg or Whatsapp/SMS 8322 1251. Visit Yoga Seeds' website for more details.